If you want to see it moving in 3D, launch the desktop simulation with Rviz, and choose the options like I did on the photo. – Here you can download the mechanical specs and see the dimensions. 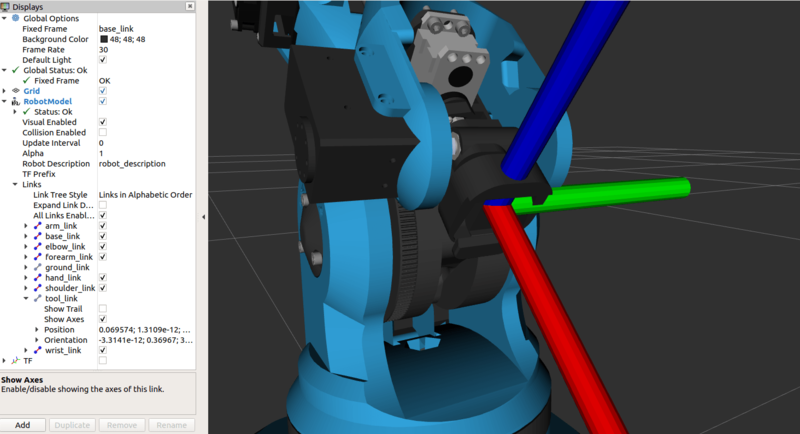 – Here you can see the URDF file used for creating the ROS 3D model. You can also find all links and joints with the distance between them. Note that the frame used for pose functionalities is always the same, you’ll have to provide a correct offset if you add a tool.